These not so ugly Christmas sweater ornaments are actually adorable! 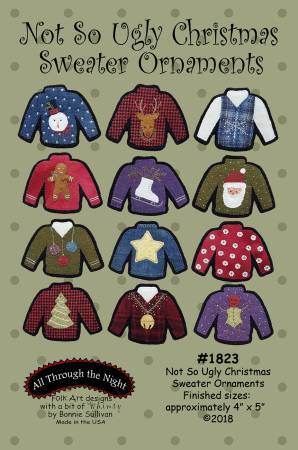 From reindeer, snowmen, snowflakes to trees, holly and ornaments, you will be stitching these up for all your friends. A great Ugly Christmas Sweater party gift. Finished size approximately 4in x 5in.